Yes, we can eat some species of Jellyfish. Though, most people from the west do not like the idea, it has been in the menu of Chinese, Koreans and Japanese for a considerably long time. You can buy edible processed jellyfish in regular fish markets. Jellyfish is an animal that can be found in each and every saline water bodies like oceans, seas, bays and lagoons. Even some jellyfish live in the freshwater lakes. There is no shortage of them. In fact, growing number of these creatures is a concern. It is well known today that they are growing in numbers and taking over the seas. Large jellyfish blooms are often choking a large part of the ocean making fishing and other related activities impossible to do. So, you know if it becomes popular of fashionable to eat jellyfish throughout the world, we can get rid of that problem. Commercial fishing will reduce their numbers very soon to a reasonable limit. 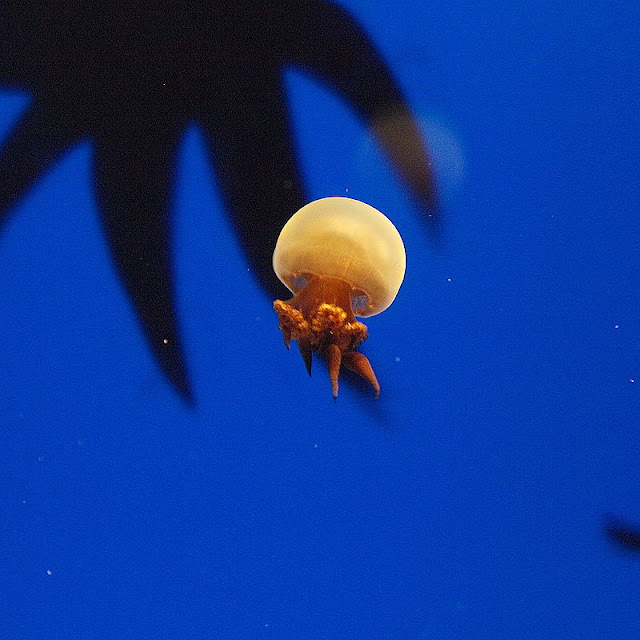 Jellyfish is not even closely related to a fish (if you don’t consider one common thing that both live in water). So, the name is a misnomer. That is why it can’t be cooked and eaten like a fish or even a shrimp or lobster. The taste is also very different. It taste is a bit bland. It also feels has some rubbery feel in the mouth while chewing. What about the venom? Yes, jellies have venom. Some species have so strong venom that can kill within minutes. So, how safe will be eating jellyfishes? Well, no one is going to eat a box jellyfish. It will not be safe to clean all these highly dangerous stinging cells from it. 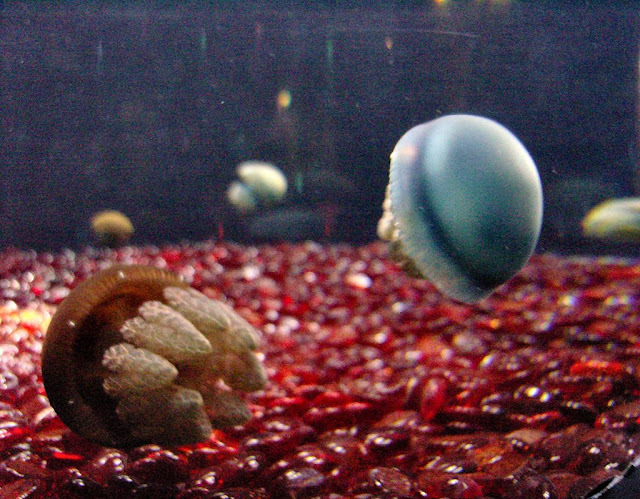 The “edible” jellies do not have strong venom. Unfortunately, there is no jelly with zero venom. Special processing is required to make these free from the stinger cells. Every jellyfish has many threads like tentacles. These tentacles are full with thousands of venom filled stinging capable cells. To make these things safe, one needs to keep the creatures in high concentration of salt and alum mixture for hours. That mixture will disable the stingers for sure. 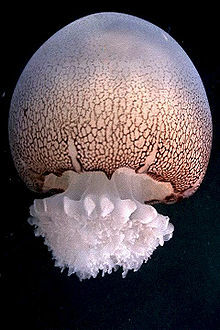 Jellyfish as a food is yet to be worldwide popular. So, little nutritional researches are done about its food value. How healthy is a jellyfish is not totally 100% known to us. The flesh of the creature is mostly protein. The fat content is very low (<5%). So, it could be a great food choice for those who want to shed some pounds from their overweight torso. The caloric values are low, only about 30 per 100 g. The protein is mostly collagen type, which is beneficial to people with arthritis. There is no carbohydrates and saturated fats. 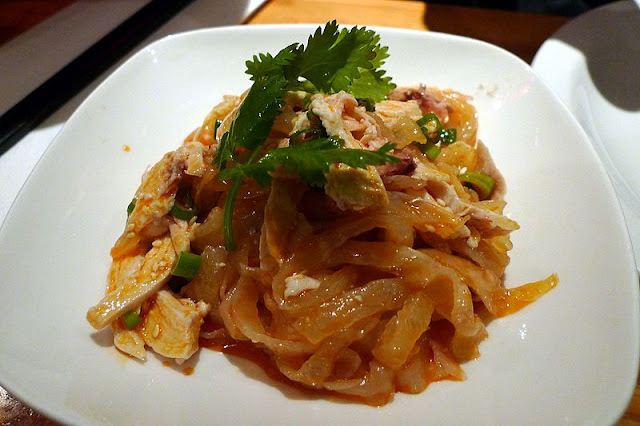 Flame jellyfish is the most common jellyfish found in Chinese cuisines. They are as popular as food that millions of these are grown in special ponds and then released into the seas to gain more weight and growth. The jellyfish can rather be big in size and weight. It is often eaten raw with salad. Cannonball Jellyfish is a popular food item in China, Japan and Korea. It is mildly toxic when alive. Most of these are caught near the coast of Georgia and then exported to the Asian countries. Jelly Blubber is another edible species. 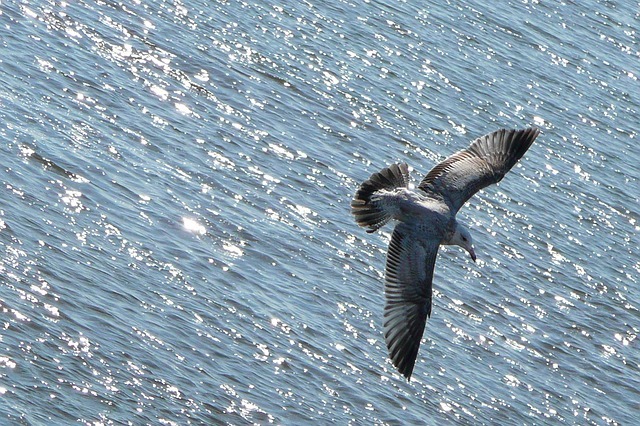 It is mostly seen near the coasts of Australia. Giant Nomura’s jellyfish is also edible. But these are not very popular. Can you eat Jellyfish just like a fish? No, it needs special processing to be preserved for long time. It is also needed to make it free from venomous stings. It is a time consuming process and can take close to 1 month to convert it into dry foods. The tentacles are separated from the body before processing. Then the flesh is washed thoroughly with salt water. Table salt and alum is added to make it dry. Sometimes a little soda (sodium bicarbonate) is added with the mix for better results. One needs to repeat the processed to make the item ready to be preserved. Jellyfish salad is most popular in East Asian countries like China, Japan, Korea, Taiwan, and Thailand. 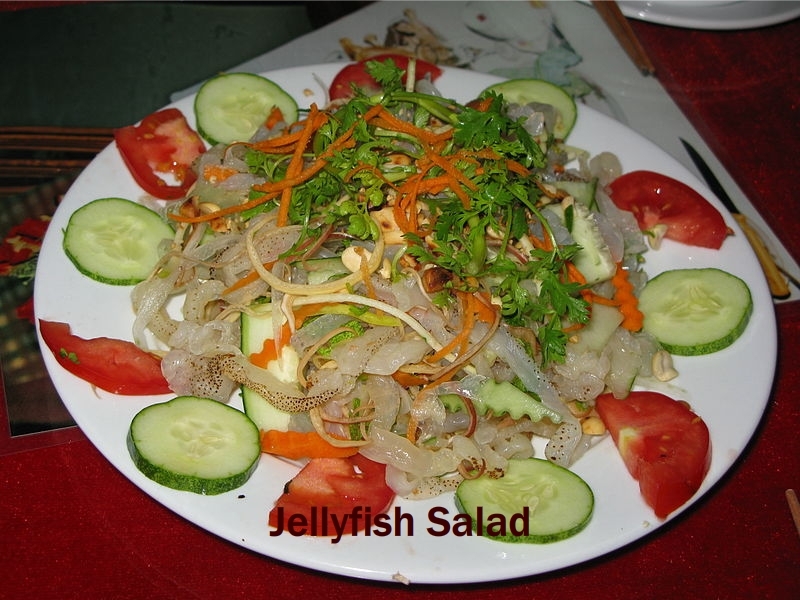 For these, cold marinated jellyfish slices are added with vegetables and sauce. There is also a vanilla jellyfish ice-cream available in Japan. Jellyfish powder is also used in Japan. So, will you try some jellyfish at home? Some of you may find the idea revolting but it is not that bad either. Come on let's watch some videos from our YouTube Channel.